A Well-Feathered Nest: Finally, Some Ornaments! Not only has my computer with a lot of my most recent photos on it been dead for a few weeks, but my camera has been broken for a while. Those things combined have made it impossible for me to get the posts about our Jesus tree ornaments up. Thankfully, my computer has life once again, so I will finally be able to share them with you. One of the simplest and most inexpensive things I did to create ornaments for our tree was to take some basic glass ornaments that I bought after Christmas one year and embellish them with paint pens. I purchased red, silver, and blue balls. 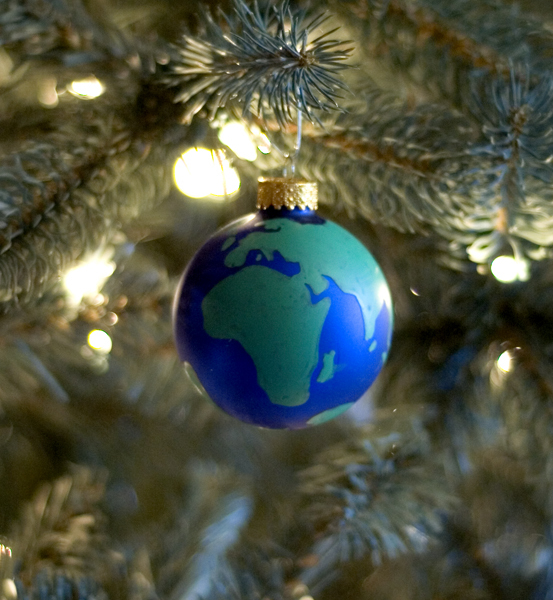 I used the blue ones to replace some styrofoam Earth ornaments that I made the year Jonathan was born. I don't think drawing the continents on a ball nine times was particularly difficult, but was definitely tedious. I had to draw one side, let it dry, and then draw the other side. I just propped them in the plastic forms that they came in while they dried. These are among my favorite ornaments now, but I am really hoping that I don't have to replace them any time soon. And I wouldn't look at the land masses too closely, especially in the vicinity of Southeast Asia. Ha! The others were much less time consuming and super easy. On some of them I drew various names for Jesus. 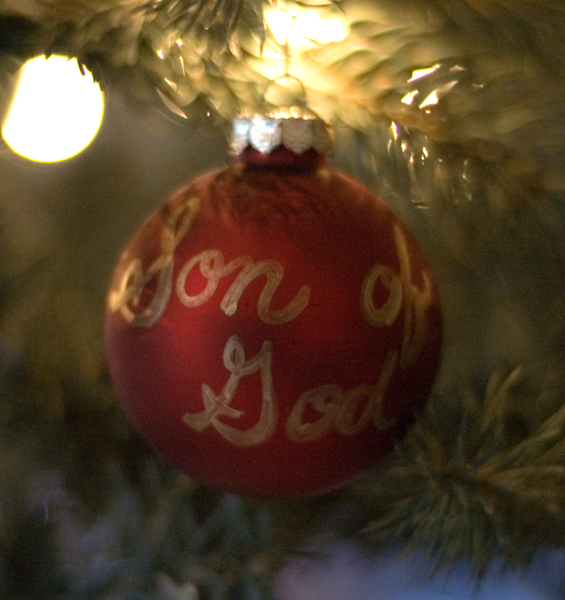 Son of God, Prince of Peace, and King of Kings are just a few of the names of Christ that grace ornaments on our tree. 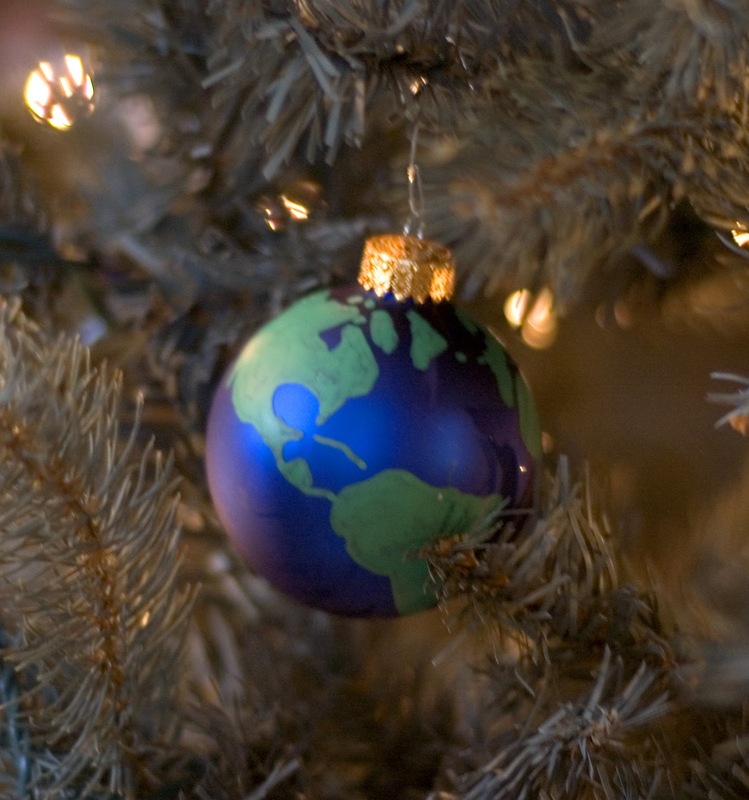 Other ornaments have various symbols that relate to Christ drawn on them. Some of these include a shepherd staff, a cross, and alpha &omega. The remaining ornaments have bits of Scripture like "For unto us a child is born..." and "...unto us a Son is given..."
I first had the idea because I was trying to come up with something to replace a bunch of ornaments that were quite literally falling apart. I wanted to find something that was easy to find locally, inexpensive, and relatively simple to make. In the end, I was really pleased with how these turned out. 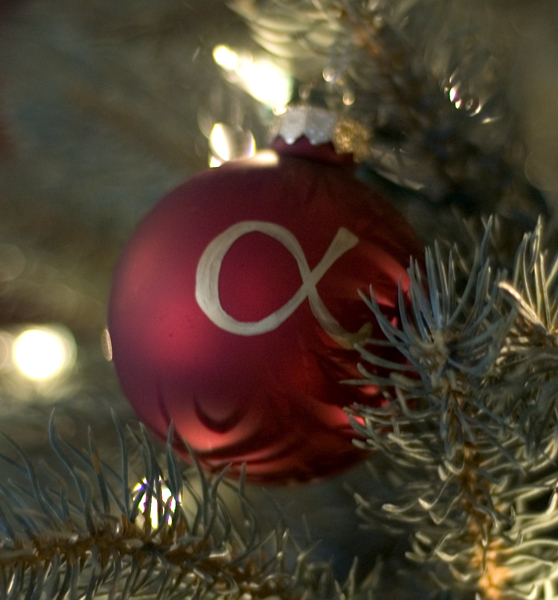 They help to fill out our tree, and you can use them to express the thoughts that are most special to your family.